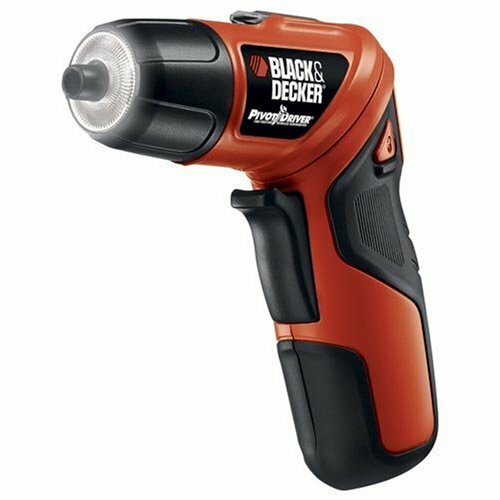 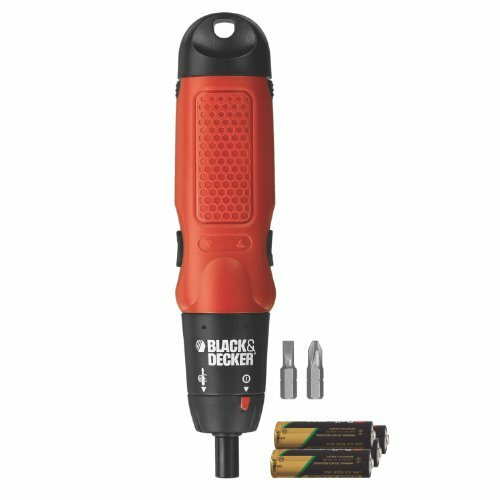 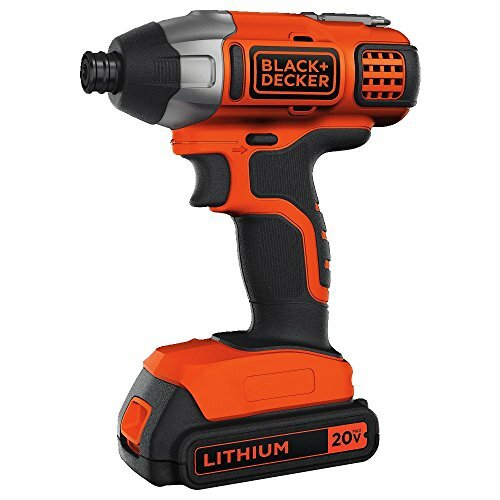 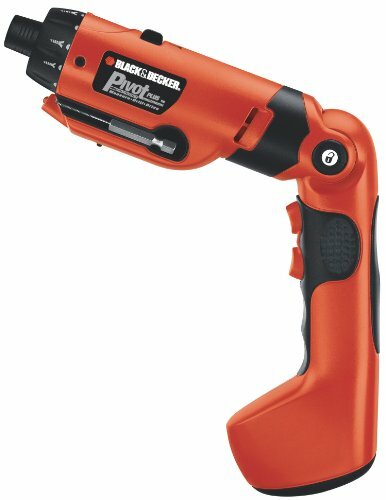 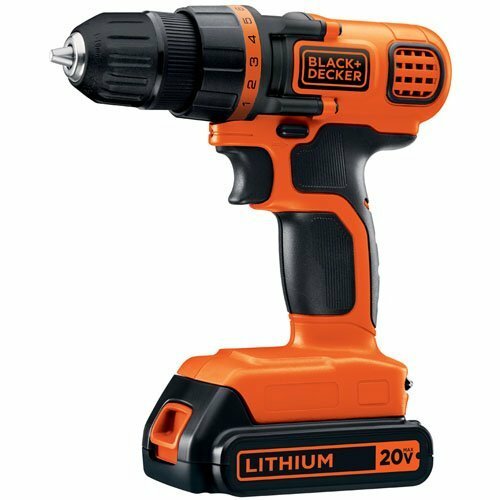 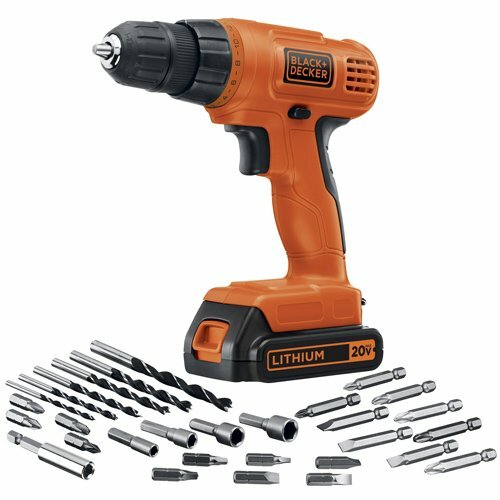 The Black & Decker 6-volt alkaline battery cordless screwdriver is great for those Quick fixes around the house. 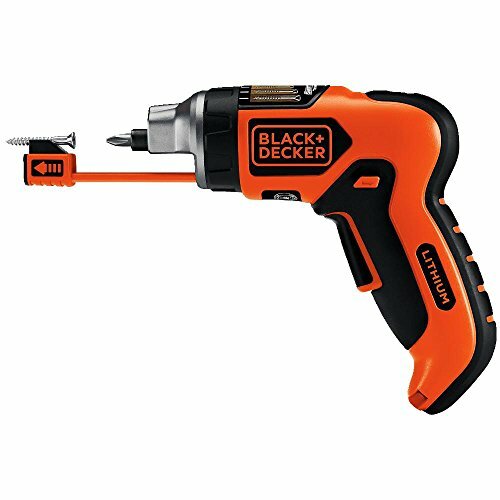 It features an automatic Spindle Lock for greater control when starting and finishing screws or for manual use, if desired. 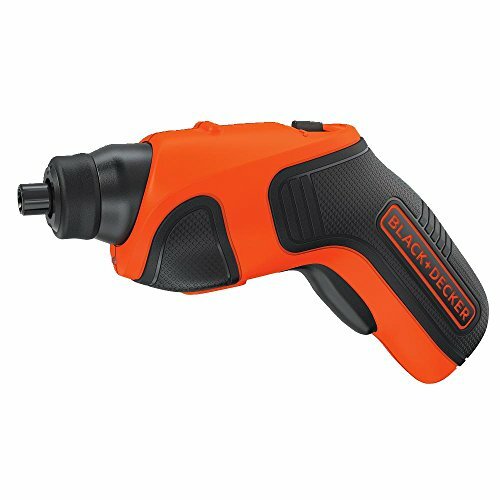 There's a forward/reverse switch and a narrow nosepiece for extra help in tight places. 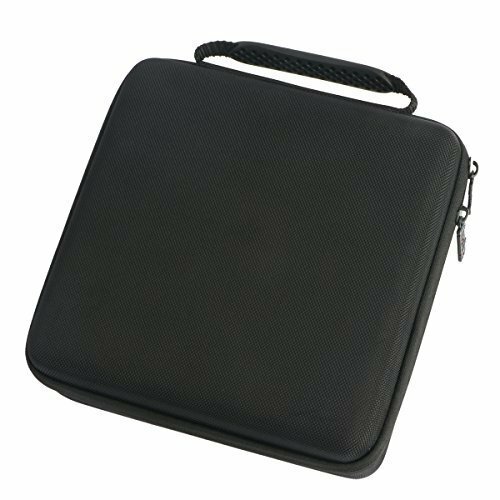 A rubber grip provides comfort and control.